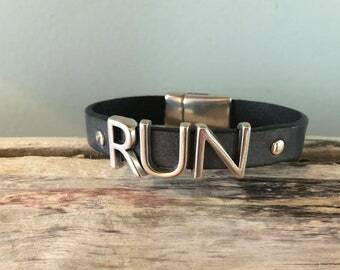 This leather bracelet is a stylish way to reward yourself for completing a long run, or a great way to keep you focused on your goal! 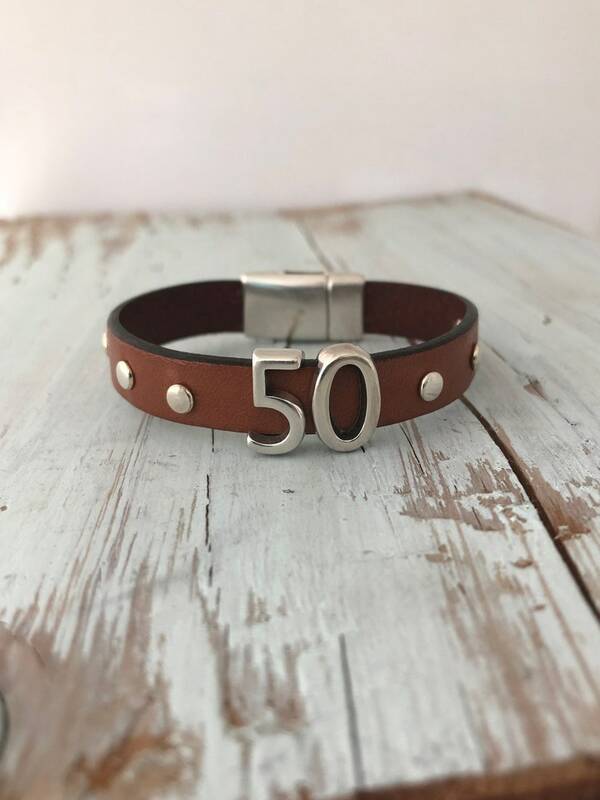 The leather is 1/2" wide and is studded with three silver rivets on either side of the silver "50". Silver magnetic clasps hold it securely on your wrist, but are easily twisted open with one hand. 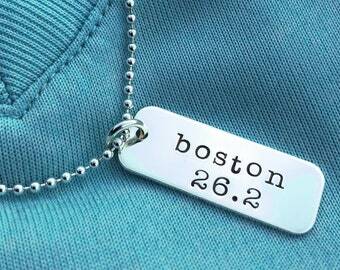 Pricing includes the bracelet as shown. Contact me for customization add ons. I currently offer this bracelet in brown, navy, gunmetal, teal, silver and metallic blue.